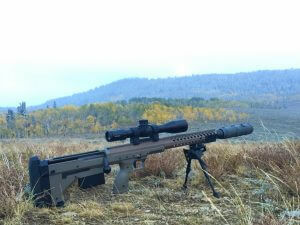 What good is a long range precision rifle if I have no where to shoot it? There are many ways to answer that question, and here we will address them. We will also give you some free tools to help get you there. How Much Room do You Need to shoot? This question depends on a couple things, first would be your equipment. What are you shooting, and how much room does it require for safe operation? 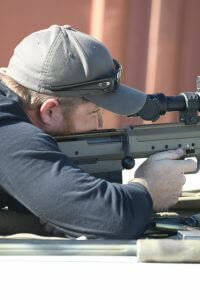 If you are using a centerfire rifle like the SRS-A1 then you’ll want to make sure that you have a minimum of 100yds. The basic fundamentals of shooting can be exercised adequately at that distance, and it also makes a great distance to zero your rifle. The basic skills that you can learn at one hundred yards will be the same skills you use at further distances. So, even if you just practice at one hundred it will help you build muscle memory for when you have more room to play. Even if you have a thousand yard range, it is still a good idea to get started at one hundred. Depending on where you live in the world, it may be easy, or it may be very difficult to stretch your rifle out all the way. For example, in some parts of the US, it is easy to get a 308 to one thousand yards. In other parts of the country, it may be difficult to get a 308 to 800 yards. But in those same areas, you could push the distance with something else, like a 300WM or a 338Lapua Magnum and get much further. Once you have an idea of how much room you need, you can start looking for a suitable range you can use. The Desert Tech Rangefinder tool is a great way to find a place to shoot. You simply type in your zip code, and it will automatically populate the nearest ranges to you. It also lists the distances available and other information about the facility. We are always looking for new and better places to add to the rangefinder, so if you know of one that isn’t on the list, send us an email with the info. Should I Go To an Outdoor or Indoor Shooting Range? Unless you are extremely lucky, you will rarely find an indoor range more than one or two hundred yards. And even those are hard to find sometimes. Indoor ranges are great for zeroing your rifle, and some trigger practice. But to truly get some shooting experience, an outdoor range is necessary. 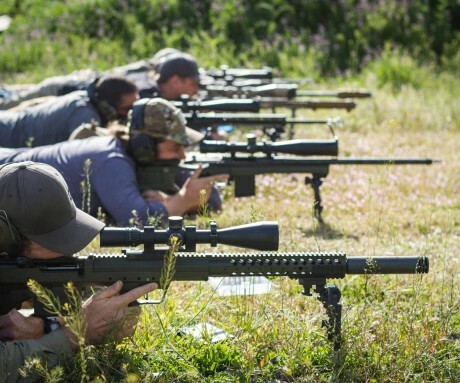 The elements of an outdoor range will help test your skills, and teach you things you cant learn in a controlled atmosphere like an indoor range. Wind, temperature, and landscape changes are all part of shooting. 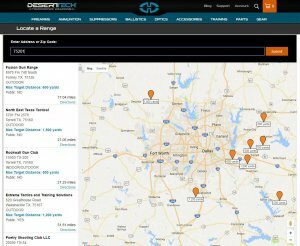 The NSSF also has a tool for finding shooting facilities. If I Can’t Find Ranges to Go Shooting, What Do I Do? If you cant find a rifle range near you, you may be able to find public access land where it is legal to shoot. Local law enforcement agencies are good at knowing where you can and can’t shoot if you don’t believe me, just try shooting somewhere and in no time an officer will be there to explain. Much of the US has public land that you can shoot on, find a good place, with proper backstops, and you could be well on your way. An improvised range is not hard to setup with a few targets, a rangefinder, and a good backstop. There is also privately owned land that you might be able to shoot on, some landowners will give you permission to shoot on their land as long as you are responsible. Make sure to take special care while on others land, it will help ensure that you (or others) will be allowed to return. If shooting on public or private land is your best choice, then it would be a good idea to get your own targets, target stands, or perhaps some steel targets if applicable. And, please pick up after yourself! Much of our public and private lands are being closed to recreational shooting because of irresponsible people who leave their shooting related trash everywhere. It is a black eye on the entire shooting community and one we don’t need any more of. So use the Rangefinder, make some friends, or take responsibility for a piece of public land, and get out often to work on those rifle skills. Feel free to share any of your own ideas in the comments below. On your Rangefinder tool, you list the Gopher Rifle & Revolver Club’s Harris MN range as public. It’s not. The public is only “welcome” for competitions.